How about the land down under? The thing is there is a very attractive and perfect place in the south for your romantic getaway or a simple family holiday. I’m talking about Tasmania. Tasmania is an island state fondly called by many as “Tas” or “Tassie.” It is actually part of the Commonwealth of Australia and is located 150 miles to the south of the Australian continent. The entire state is composed of the main island and another 334 surrounding islands. With a population of over 500,000, it is a growing state with lots of fun to offer. The island state is internationally promoted as a natural state. It is home to a large and relatively unspoiled natural environment. As a matter of fact, almost fifty percent of the entire island is made up of national parks, reserves, and World Heritage sites. It is officially recognized as the one place with the cleanest air in the world. Rainwater in Tasmania is so pure that it can actually be bottled and consumed. It is home to naturally grown walnuts, apples, and cool climate wines. The island has been named as the best temperate island in the world (twice) by the popular travel magazine, Conde Nast Traveller. It was also named as the world’s hottest travel destination by Lonely Planet in 2009. There’s an area in the western part of the island that’s recognized as a World Heritage Area. But what’s more interesting is that this same place is one of the last great unspoiled temperate wilderness areas on earth. Tasmania also is home to the largest lavender farm in the world. The island’s population reached 500,000 in 2008. One of the nicest things about traveling to Tasmania is that you get to choose your own way and your own pace. For a road trip, you can go camping, look for cabins and cottages, or perhaps try out the motorhomes and farm stays. But it’s not just about the fun. If you are into luxury, there are also 5-star eco-retreats. How about the things to expect and see? Your travel to “Tassie” is not complete without relaxing in the white sandy beaches combined with the remarkable turquoise waters. You’ve come a long way to this amazing place but you will certainly be rewarded with the magnificent views, courtesy of the rustic villages sin the scenic countryside and the snow-capped mountain peaks. And if you are the adventurous type who wants to take on challenges, there’s the breathtaking hiking trail in the World Heritage Site located in the western wilderness. But it’s not just about beaches and scenic countryside. There are more to expect, especially if you’re looking at blending in with the people. For example, the island is home to year-round festivals and cultural celebrations. As a matter of fact, there is almost something to celebrate every single week. There will be historically and culturally significant sights including elegant and old vineyards, breweries, arts, antiques, and crafts. One of the island’s newest attractions is MONA or the Museum of Old and New Art. This remarkable structure is laden with three underground levels concealed in a sheer rock face. What you expect to see are ancient antiquities as well as modern works of art. It is certainly a world-class museum worthy of a visit. If you visit this historic site, you will be treated with utmost hospitality all over, with the convenience of an information counter, restaurant, café, galleries, and gift shops. 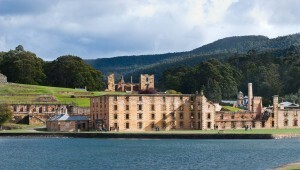 There are guided tours that offer visits to the highlights of the site, including the Old Asylum which is not a museum, Model Prison, and many other restored buildings. But perhaps the most popular tour is the 90-minute Historic Ghost Tour with lanterns. It starts at night at dusk but be sure you book first. Mt.Field meanwhile was declared a national part way back in 1916. Its most enticing offer is the remarkable mountain scenery with a view of abundant wildlife, alpine moorlands, lakes, waterfalls, and rainforest. On your way to the national park, it’s best to have a stop a New Norfolk to see this amazing industrial river town. Finally, you get the adventure of a lifetime in visiting Hastings Caves and Thermal Springs. You can explore these caves only through a guided tour, but you’re definitely in for an adventure.